NEWPORT BEACH — Silver Seas Yachts is inviting the public to stop by its new office on Lido Isle at BellPort Newport Harbor Shipyard. On April 28, it hosted Demo Days — an event showcasing new yachts from Carver, Cruisers and Marquis. Models from 35 to 54 feet in length were in stock, and event attendees enjoyed hors d’oeuvres as they inspected the new boats. Silver Seas Yachts, with brokerage and retail offices in California and Arizona, will open its fourth location May 1 in Sausalito. Silver Seas Yachts is the exclusive distributor of Carver, Marquis, Four Winns cruisers and Cruisers Yachts for California and the entire Southwest. The company is also a Four Winns dealer for the full line of runabouts and deckboats in the Arizona market. According to Rick Young — manager of Silver Seas Yachts’ two Southern California yacht centers, in San Diego and Newport Beach — Silver Seas Yachts’ knowledgeable, experienced and friendly sales representatives work hard to realize their clients’ objectives. Silver Seas Yachts has locations on the Shelter Island waterfront in San Diego, at BellPort Newport Harbor Shipyard in Newport Beach and at Scorpion Bay Marina on Phoenix’s Lake Pleasant. The new Sausalito office will be located at Clipper Yacht Harbor. 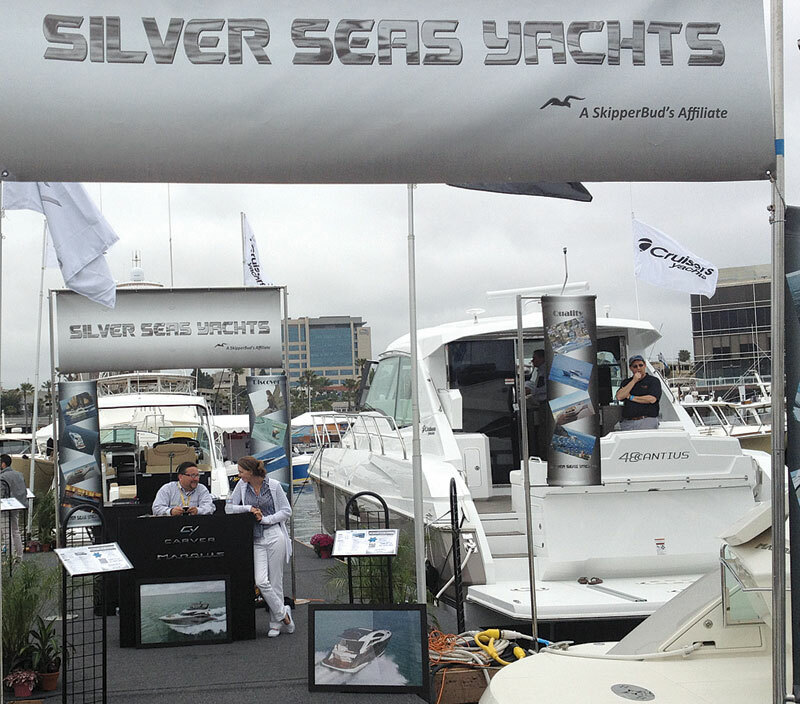 Silver Seas Yachts is an affiliate of SkipperBud’s — one of the nation’s largest marine retailers. From its base in the upper Midwest, family operated SkipperBud’s has cultivated a loyal and far-reaching base of clients over the past 46 years. For more information, contact (949) 274-9082 or visit silverseasyachts.com.